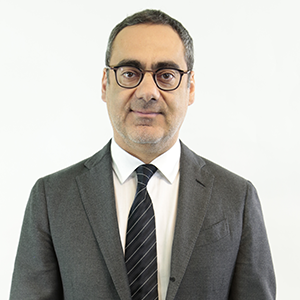 Robert Vassoyan, Chief Commercial Officer of Atos since March 2018, is a member of the Atos Group Executive Committee. After his graduation from French business school ESSEC, and various positions in the IT industry (Compaq as marketing and sales director France, HP as head of alliance, MEA and France services sales) Robert joined Cisco in 2007 as Sales Director in charge of the French Small & Medium Businesses market and member the Executive Committee, before being promoted Managing Director for the Large Accounts a year later. He was then appointed President of Cisco France in August 2011. Robert has been elected President of AmCham (American Chamber of Commerce in France) in February 2016. He is also a board member of CESI (Center for Higher Education Industry). Robert is 50 years old, married with three children.